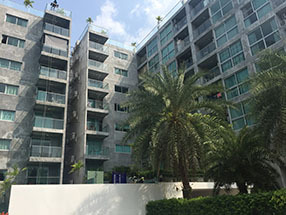 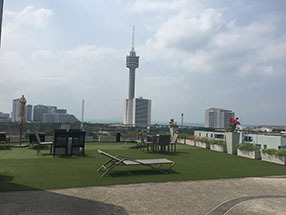 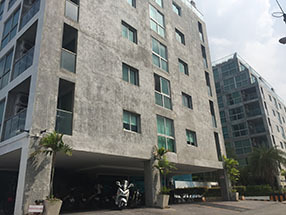 The modern Park Royal 3 condominium in Pratumnak Pattaya Thailand is located on Pratumnak Soi 6 and consists of 2 buildings each with 79 luxury condos/apartments & this condominium is only approx. 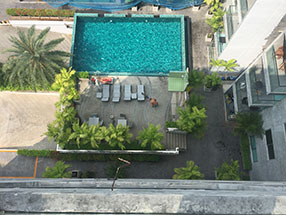 400 meters from the beach & only a few minutes from Pattaya city center. 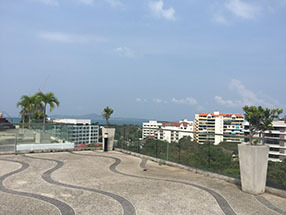 The location is half way between Pattaya & Jomtien. 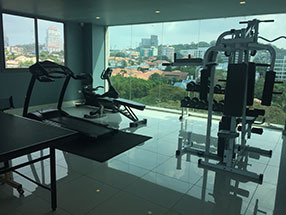 Fitness center with table tennis, sauna, free WiFi, safe underground parking, swimming pool, reception & lobby, sun deck.